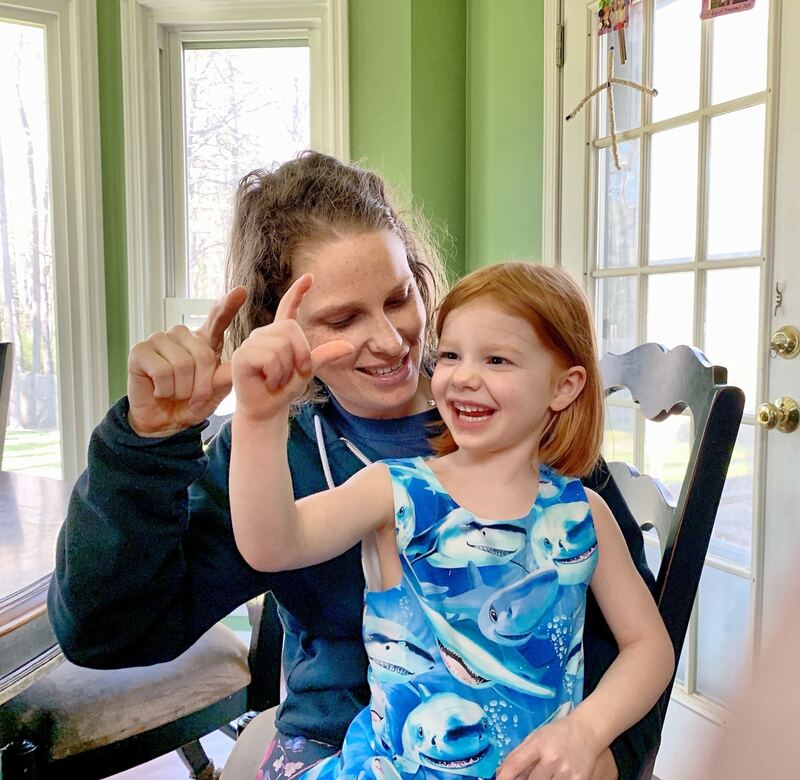 Yes, we are still jamming out to Baby Shark around here! I figure we sort of missed the song with the 7 year old when it first came out, so the 5 year old is super excited by it. If the song gets her excited about sharks, and (in my mind) therefore science, I’m all about it! Her teacher even commented that when it comes to science activities in the classroom, she really thrives. Guess it’s safe to say she’s got a little of me in her! 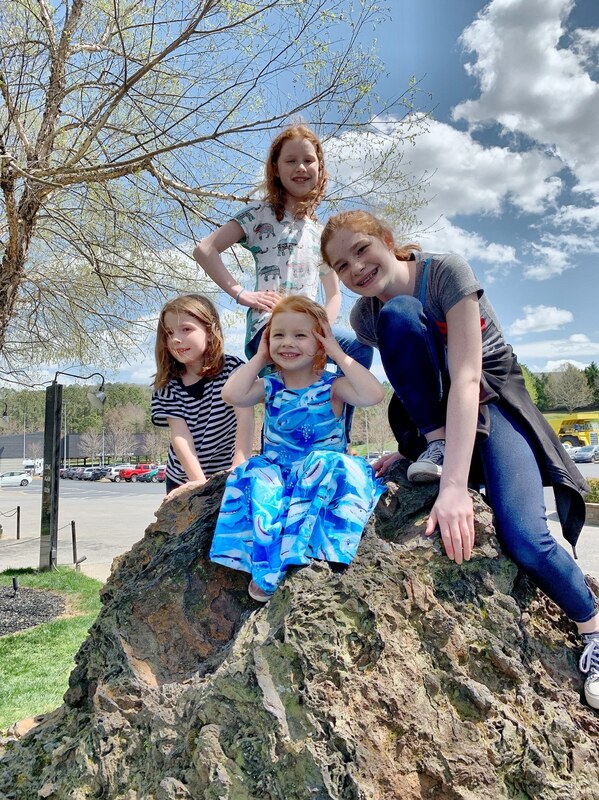 Of course, this time we were singing Baby Shark because of her awesome Shark Dress that was sent to us by Dance on Mars. If you’ve seen B in the past three days, the odds are really good that you’ve seen her wearing it, too! She loves this dress. 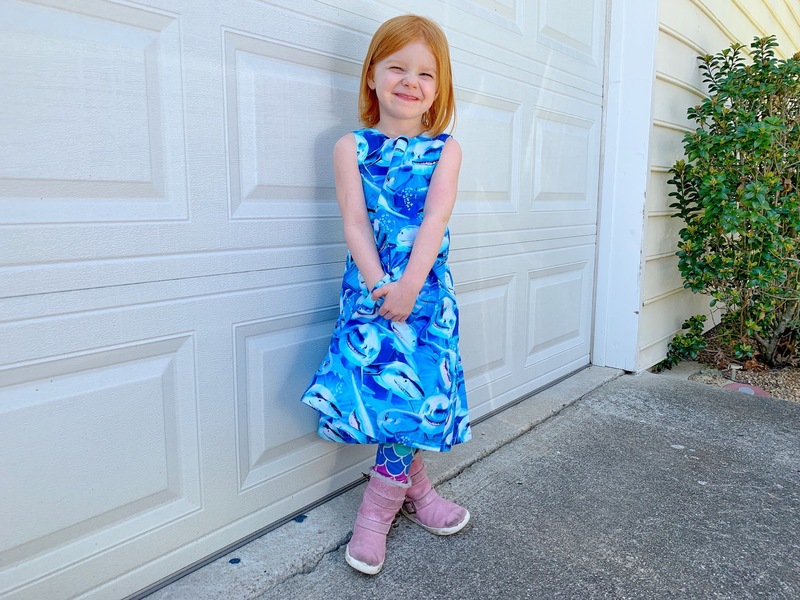 Thankfully, we had a few warm days she could wear it without a shirt underneath, but when it’s cold, she just puts on a shirt and leggings (check those “rainbow mermaid scale leggings” and rocks her dress. 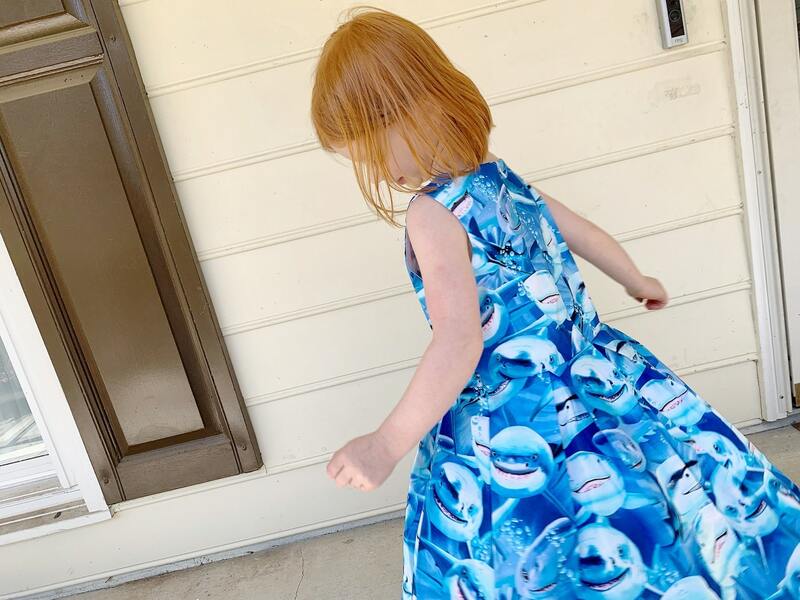 The shark dress is a 100% cotton sleeveless girls’ dress with box pleated skirt and fierce, fun shark print. What does this mean? It means she can twirl in her happy shark dress. If you have a girl, you know that the dress is all about the twirl, and these box-pleats give it a full-twirl factor. In addition, her Dance on Mars Shark Dress is has a full white lining of 100% cotton. You don’t have to worry about it being see-through or too thin. 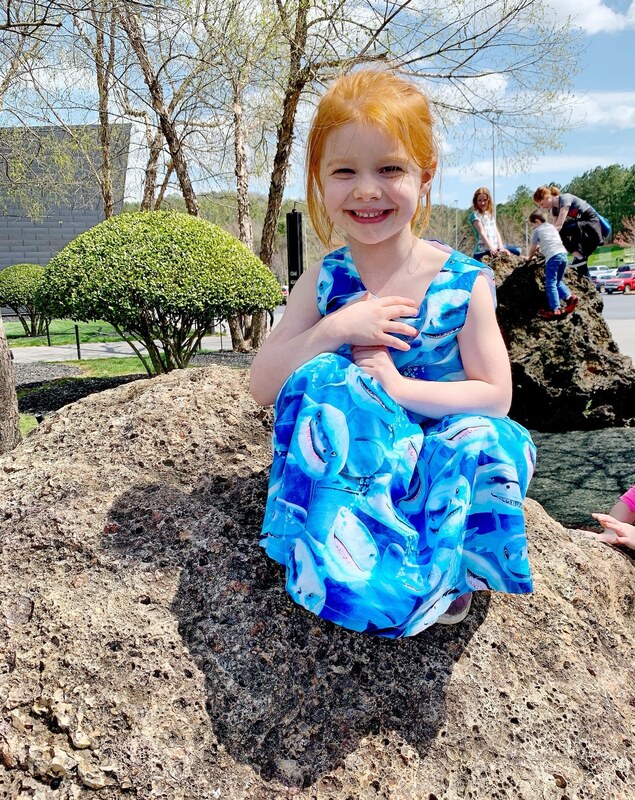 The dress and lining are separate at the bottom, too, which I find we prefer when it comes to lined dresses so they don’t get all tangled in the wash.
It’s an awesome dress to sing Baby Shark, model in front of your garage door, wear to school, or to dig for dinosaur bones and fossils at the local science museum. 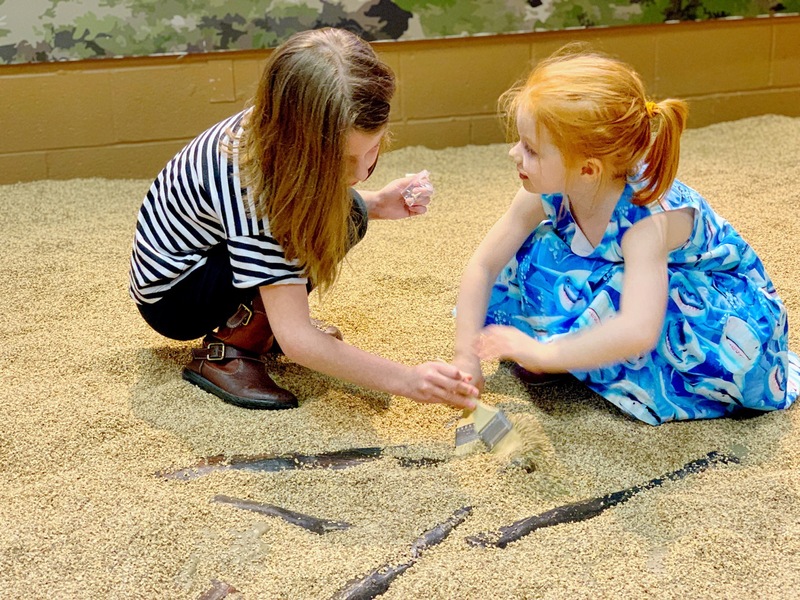 Yes, even young archeologists in training wear fun shark dresses (I mean, they are smiling sharks). What’s a mom to do when her daughter wants a dress with a big girl theme and none can be found? Well, if she has sewing skills, she makes one and helps out those of us that don’t! At Dance on Mars we believe girls should have beautiful dresses that reflect their aspirations, be it astronaut, princess or deep sea diver. I started this company for my daughters, who wanted pretty dresses with big girl themes. Since those dresses didn’t exist, I designed them myself. They are 100% cotton fabric and made in the USA. 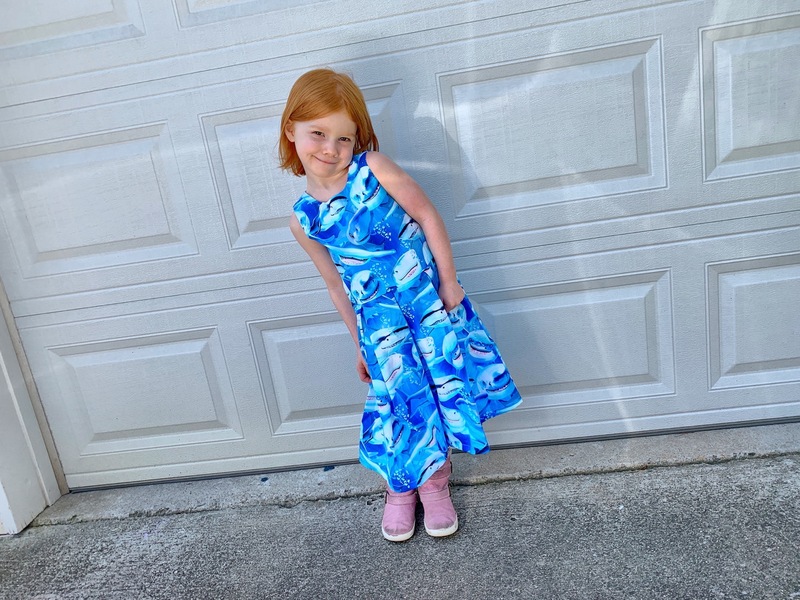 This shark dress and Dance on Mars’ Out of Space planet dress is such a fun dress for girls looking to express their love of all things science and world and STEM while still wearing a dress that they can spin and twirl in!